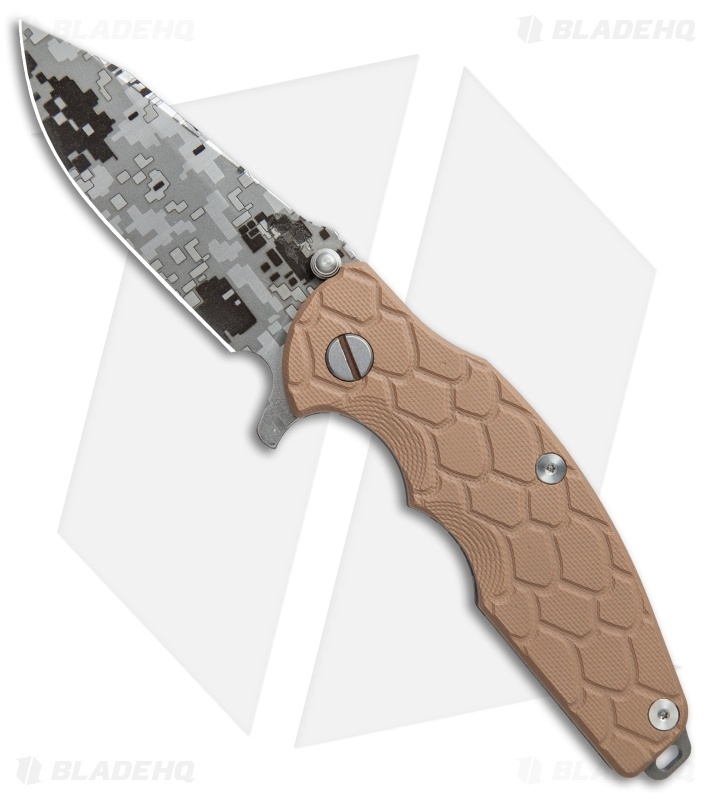 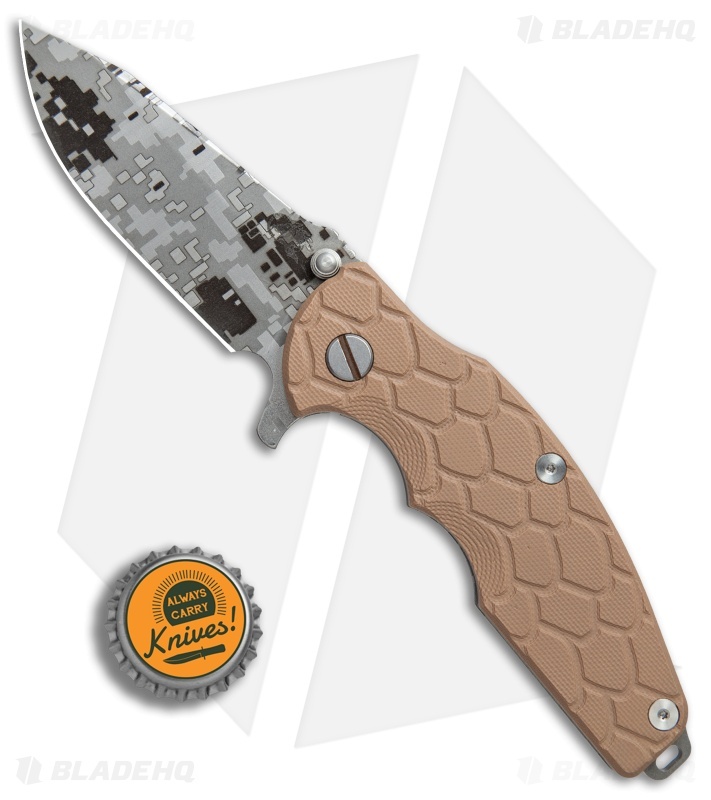 This Jurassic model comes equipped with a coyote G-10 handle and a digi-camo spear point blade. 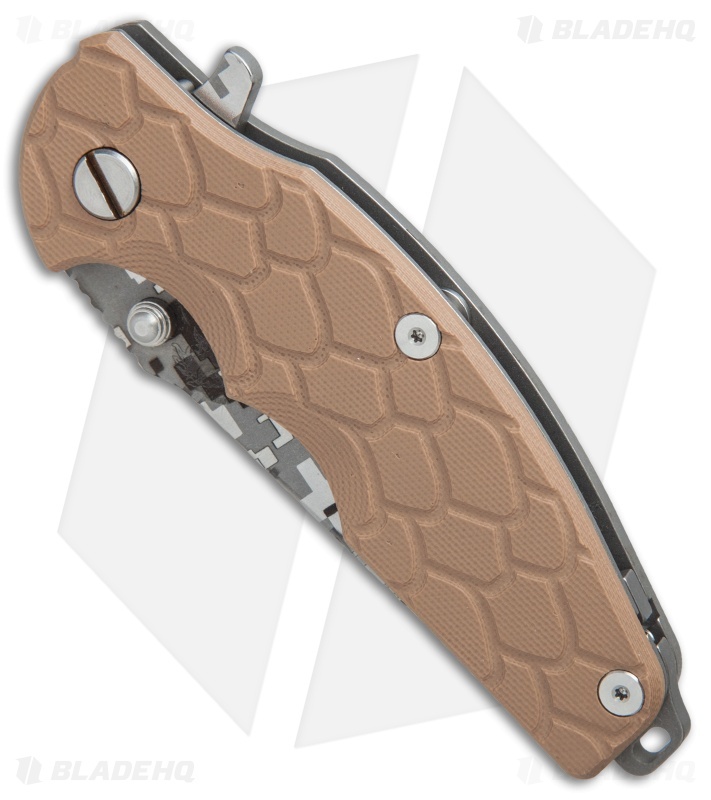 The Hinderer Jurassic offers a predatory appearance characterized by a humpback handle profile, low blade angle, and a scaled G-10 handle. 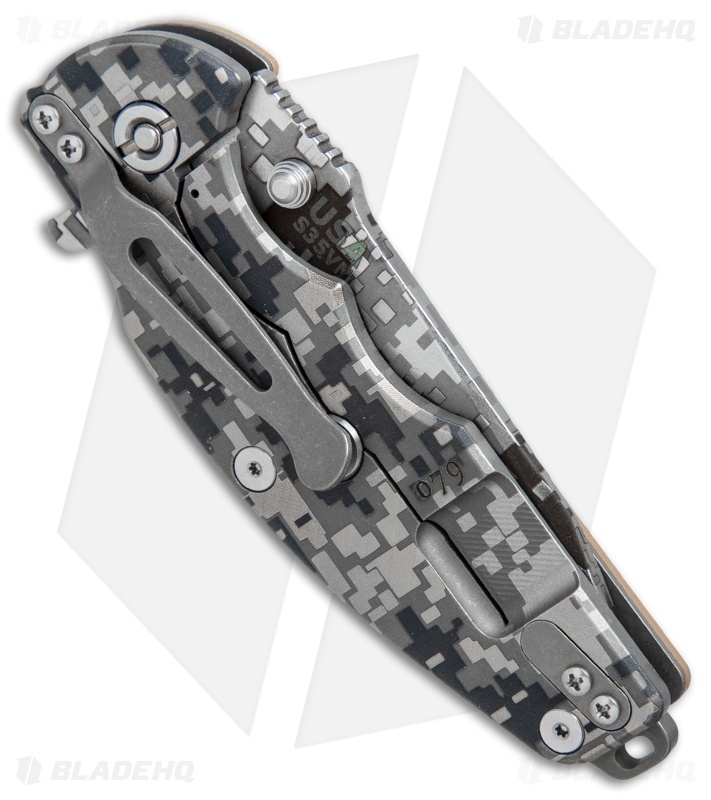 It's outfitted with a dig-camo titanium frame lock, reversible pocket clip, HMBS spacer, and a lockbar stabilizer. This mid-size folder hits that perfect happy medium for people with aversions to large or small blades. The curved handle lines meld effortlessly in the palm with a double choil for improved control.